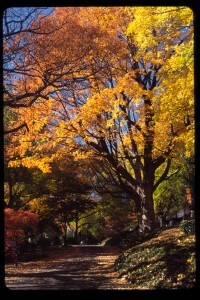 October, and the leaves turned late but strong. 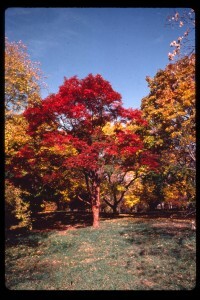 We excerpt here from the definitive book about maples, Maples of the World by van Gelderen, de Jong, and Oterdoom, “For an all too brief period each autumn the woods of North America and the Orient, and many gardens throughout the temperate world, are ablaze with scarlet, gold, and yellow when maples, the most spectacular of all trees, adorn the countryside. 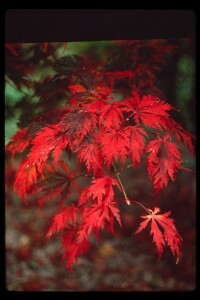 Maples delight the eye, provide one of nature’s finest sweets, and hold their own as timber with even the mighty oaks.” The genus Acer, maple has over 120 species worldwide. 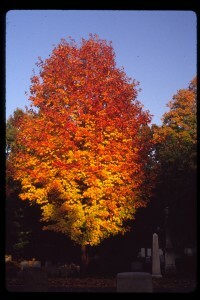 At Mount Auburn, the horticulture department’s most recent List of Plants tallied 617 maples comprised from 26 species, and two hybrids. 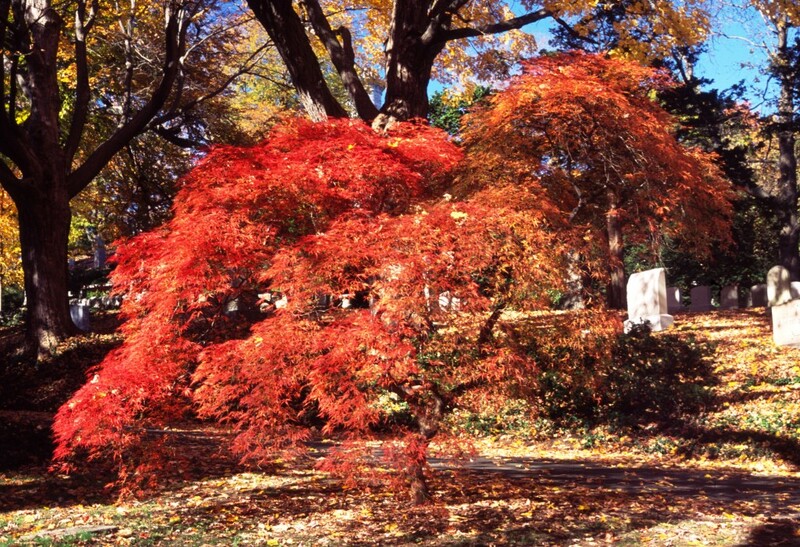 We encourage you to visit and view our many Acer saccharum, sugar maple, Acer rubrum, red maple, Acer palmatum, Japanese maple, along with all the other maples throughout our landscape during this autumn’s colorful display. 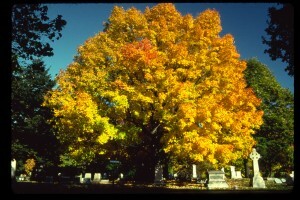 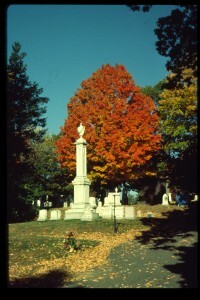 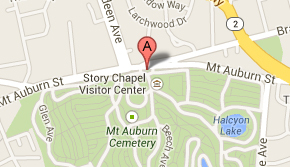 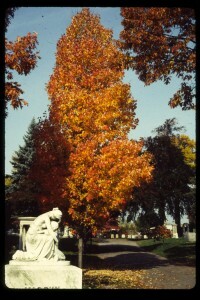 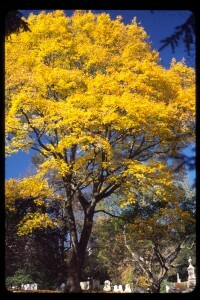 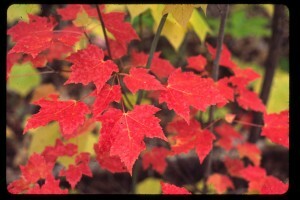 Join Jim Gorman for Fall Foliage Walking Tours this Autumn!! 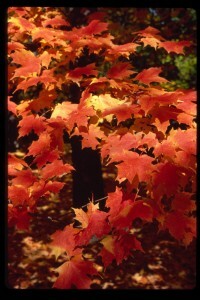 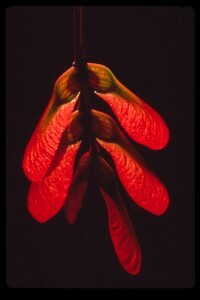 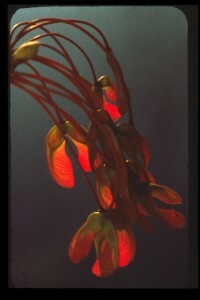 …Only the faithful maple sheds its leaves every year. 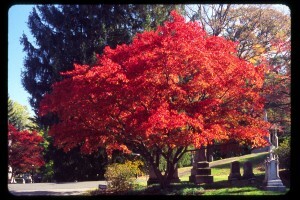 ..One stately maple, or two, intensely orange? 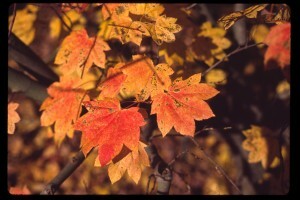 …Beguile us in the way you know.